(Reuters) - A union that represents thousands of U.S. air traffic controllers filed a lawsuit against the federal government on Friday claiming its failure to pay the workers during an ongoing partial government shutdown could endanger passengers' safety. 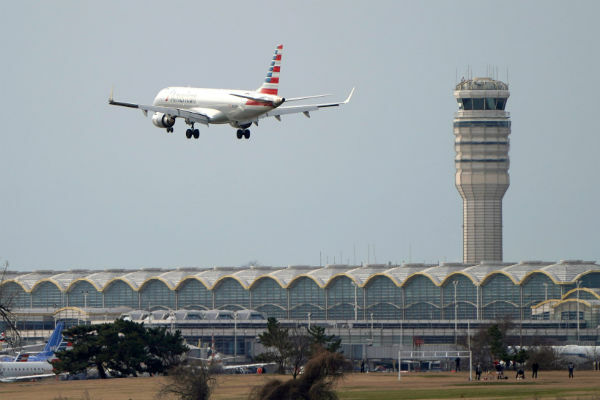 "America wants its air traffic controllers to be laser-focused on landing planes safely and monitoring America's runways, not distracted by financial issues and anxiety of financial instability," the union said in the lawsuit. NATCA also moved for a court order requiring the government to restore air traffic controllers' pay while the lawsuit is pending. The Federal Aviation Administration (FAA) has funds to pay the workers despite the ongoing shutdown, the union said. The shutdown was triggered by a standoff over funding for President Donald Trump's proposal to build a wall along the U.S.-Mexico border. Some 800,000 workers across the government have been furloughed during the shutdown, which is the longest in U.S. history.. But personnel that are deemed "essential," including air traffic controllers and law enforcement agents, have been working without pay.